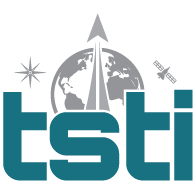 Special onsite offering in Dayton, OH (date TBD based on interest) | TSTI | Teaching Science and Technology, Inc. This 2 day course provides a broad overview of the processes, practices, tools and techniques that comprise the emerging discipline of model-based systems engineering (MBSE) with emphasis on practical application. The course begins with a review of the systems engineering framework and protocols that establish the context for MBSE practice. We then examine the evolution of MBSE from paper to software and review the current state of languages (UML, SYSML, LML, etc.) and tools. From this background, the basic goals of MBSE within a project context are discussed. The course then focuses on six central themes that comprise the unique advantages MBSE offers—Capturing, Connecting, Controlling, Communicating, Collaborating and Cycling— with specific examples, lessons learned from applications in NASA and commercial projects, as well as extensive hands-on exercises. The course is aimed at those totally new to MBSE, or who have some experience with a specific tool but want to understand the broader context of their application. While the course uses a specific tool for teaching, the goal of the course is to be “tool agnostic” such that the basic principles can be applied to any tools that a person or project may use. By the end of this module participants will be able to. Explain the systems engineering framework and how we use it to develop technical baselines throughout the lifecycle. Develop key systems engineering diagrams and other artifacts to communicate requirements validation, system context, functional behavior, physical architecture, interfaces, risks and other information. List model-based systems engineering (MBSE) tools, contrast them with model-based engineering tools, and explain how they can be used to capture, connect, communicate, collaborate, control and cycle the systems engineering effort. Describe and give examples for the application of MBSE across the lifecycle, from goals, objectives and ConOps through verification planning. Apply an MBSE tool to develop a basic system model. 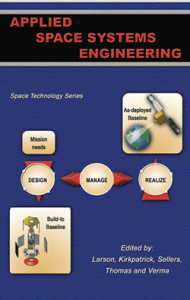 This module is intended for practicing systems engineers, payload principle investigators, subsystem engineers or project managers involved in any phase of the space mission life cycle who are curious about application of MBSE to their projects. Some basic understanding of systems engineering principles and processes is assumed.